Automobile accidents give rise to the majority of personal injury claims in the U.S. This isn’t surprising, given that there were 5,615,000 police reported car crashes in 2012, according to the National Highway Traffic Safety Administration (NHTSA). Legal claims arising from motor vehicle accidents are typically governed by the law of negligence. Generally, people who operate automobiles must exercise “reasonable care under the circumstances.” A failure to use reasonable care is considered negligence. A person who negligently operates a vehicle may be required to pay for any damages, either to a person or property, caused by his or her negligence. The injured party, known as the plaintiff, is required to prove that the defendant was negligent, that the negligence was a proximate cause of the accident, and that the accident caused the plaintiff’s injuries. 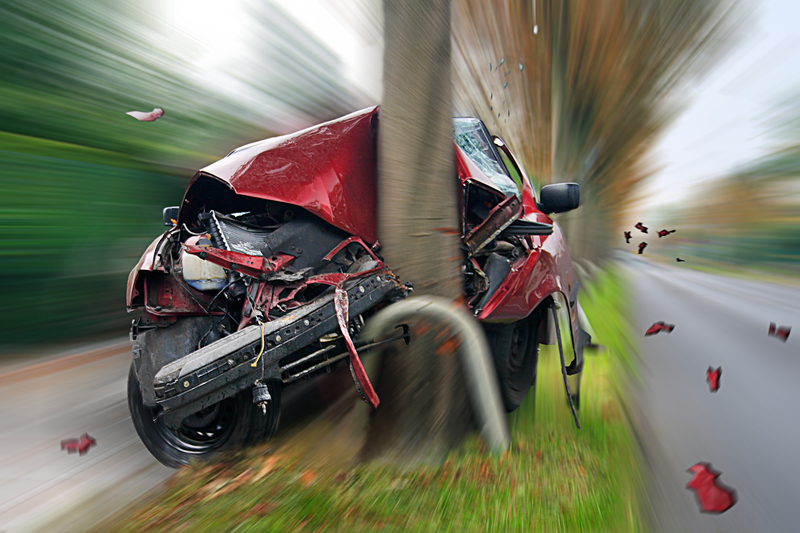 On average, every 51 minutes, someone in the U.S. dies in an alcohol-related crash. Last year alone, over one million people were injured in alcohol-related traffic crashes. In a lawsuit arising from a drunk driving accident, in addition to the intoxicated driver’s liability for the injuries he or she caused, a bar or social host may be liable for damages if they served an obviously intoxicated guest, who then drove and caused an accident. The fact that the person who served the intoxicated driver alcohol may be held liable doesn’t relieve the intoxicated driver of liability, however. See the Dram Shop Laws article for more information about third party liability for drunk driving accidents. In certain cases, accidents are caused by factors unrelated to the conduct of any particular driver. For example, an automobile accident may occur due to a defect in someone’s automobile. In such a case, an automobile manufacturer or supplier may be responsible for injuries caused by a defect in the automobile under the law of product liability. A product liability suit is a lawsuit brought against the seller of a product for selling a defective product that caused physical injury to a consumer or user. If a manufacturer of a product creates a defective product – either in designing, manufacturing, or labeling the product – the manufacturer is liable for any injuries the product causes, regardless of whether the manufacturer was negligent. Other factors, such as poorly maintained roads and malfunctioning traffic control signals can contribute to cause an accident as well. Improper design, maintenance, construction, signage, lighting, or other highway defects, including poorly placed trees and utility poles, can also cause serious accidents. In cases such as this, government entities may be potential defendants. Special rules apply to claims and lawsuits brought against governmental bodies, however, and proper legal advice is critical to preserving and winning such claims. If you or a loved one has suffered a car accident injury, some important questions need to be answered. Reviewing your claim with an attorney can help you identify who, if anyone, was negligent and if that negligence caused your injury. Contact us today for a free, confidential case evaluation.